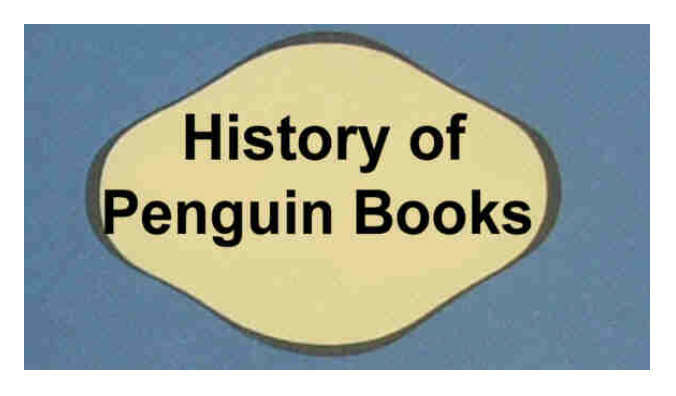 To find the begining of the story of Penguin Books we need to go back about 150 years to 1868. We see John Lane, a 14 year old boy from a farming family in North Devon, leaving school and travelling to London. There he worked as a clerk in a railway clearing house in Euston. He wasn't that interested in the work, and in his spare time he supplemented his income by buying and selling second-hand books. He becomes knowledgeable in this, builds up a stock of books and in 1887, at the age of 33, he sets up a 7 year partnership with fellow Devonian, Elkin Mathews and opens an Antiquarian Bookshop. The two of them obtain premises in Vigo Street, just off Regent Street in London. They decide to call their emporium, 'The Bodley Head' after Sir Thomas Bodley, another Devonian, (who curated the Oxford library, named after him). John Lane was keen to publish books and within two years he raised £2,000 from a friend to set up in publishing. 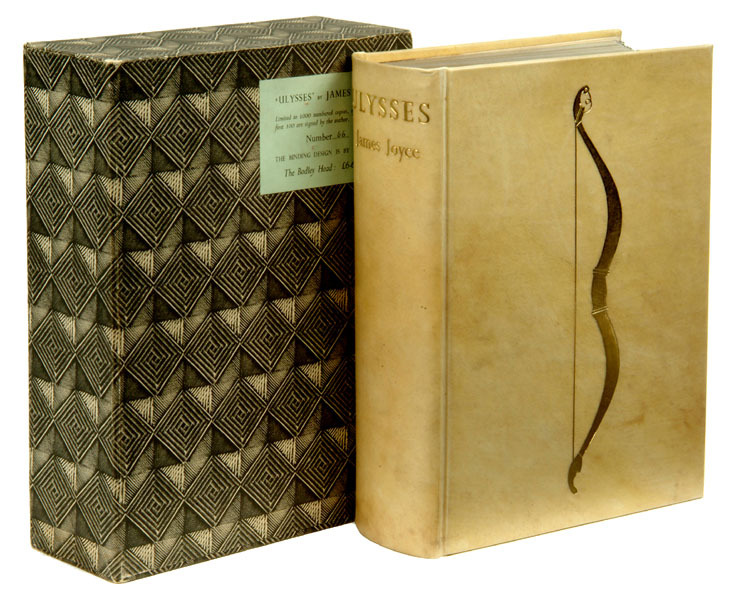 They published poetry, essays and belles-lettres and built a reputation for producing limited editions of quality books and avant-garde literature. The books were elegantly designed and had good typography, with Aubrey Beardsley designing some of the title pages and covers, and they published Oscar Wilde's Salomé . In 1894 they started publication of a literary and arts periodical, the Yellow Book, so called because of its cover. 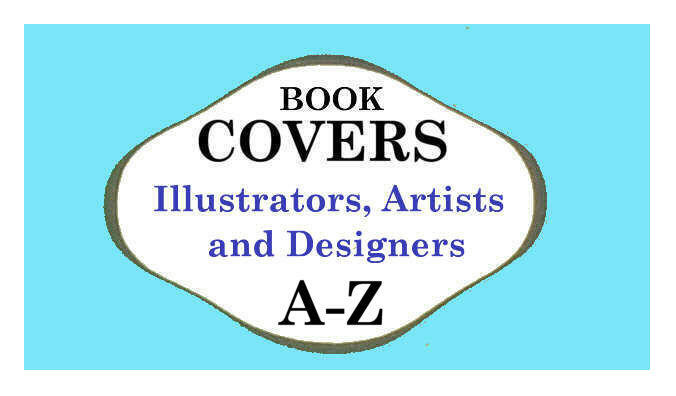 However, yellow covers were used in France to cover more seedy material. Hence it set a somewhat decadent and risqué feel to the publication, which actually contained contemporary literature, poetry, essays and art. 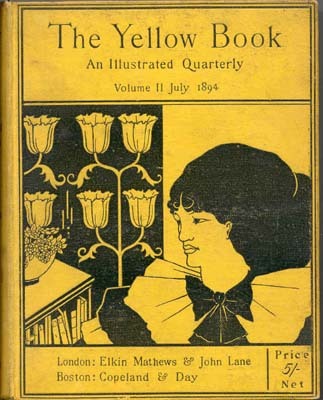 His association with Beardsley, who had illustrated Oscar Wilde, led to some scandal, and after Oscar Wilde, then facing prosecution for libel and homosexuality, was seen carrying a yellow covered book (though not actually The Yellow Book), John Lane ended his dealings with Beardsley and Wilde. Elkin Mathews and John Lane wanted different things and the partnership ended at the end of the 7 year contract, in 1894, with John Lane acquiring the business and new premises across the street. John Lane was successful, and in 1898 married Annie Eichberg, a wealthy American widow. They had a house at Lancaster Gate where they entertained society and the literati of the time. Annie herself was an author, had written a hymn and several novels, many of which were published by her husband. She also was fluent in French and German and facilitated the publication of works by Anatole France and André Maurois. During the first World War, their house was hit by a bomb and damaged. They decided to decamp to Bristol and it was there that John made contact with a distant cousin Camilla Lane (also from Devon farming stock), now married to Samuel Williams (a town planner), who had 4 children. The oldest was Allen Lane Williams, born in September 1902, followed by Richard, John, and Nora. Camilla suggested that Allen think about the book business and she arranged for him and John Lane to meet. Apparently John Lane was greatly impressed by this young boy. 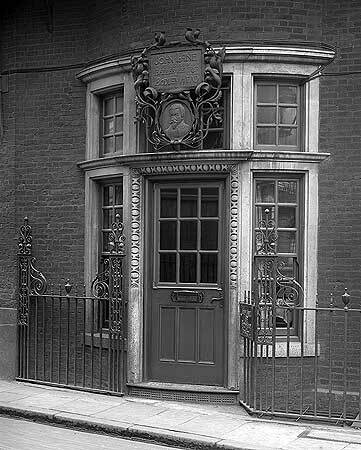 John and Annie Lane were childless, and during one of their visits a deal was struck that on leaving school, Allen Williams would go to London and work with his uncle in the family business at The Bodley Head, and he would be his heir-apparent. Allen then went to Bristol Grammar School, where although he gained no formal qualifications, the headmaster encouraged arts and architecture, giving Allen a taste for style and design. 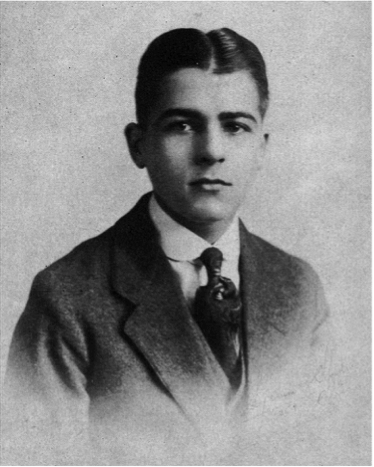 He left school on 11 April 1919, aged 16½ years. It had been agreed that Allen Williams would change his surname to Lane, and the family all changed their name to 'Lane' the week before he left home. And so Allen Lane Williams-Lane, from then on known as Allen Lane, set out for London, and began work at The Bodley Head on 23 April 1919. A date he remembered, it being also St George's Day and the anniversary of Shakespeare's birth. Allen worked in all areas of the business, and learned his trade from the bottom up. He began as an office boy and general dogs body, a 'looker-out' (someone who finds books from stock for customer orders) and a packer. He worked in accounts, sales, and travelling to shops to get orders for books. His understanding of the bookselling business and relationship with booksellers was a strength. He also undertook editorial work and met with authors - with many of whom he formed lasting relationships. After 5 years, at the age of 21, this personable young man was made a director, and in the next year, 1925, his uncle John Lane died, followed by his Aunt two years later. Allen inherited her controlling shares in the company and became Managing Editor. His two brothers and sister also inherited. However, The Bodley Head had not been trading well and a couple of times it nearly went bankrupt, and finances continued to remain 'in the red'. He tried a number of ventures which did not work out. Allen did not enjoy support from his Board who were worried about finances and what this young impetuous man might do. In 1934 he wanted to buy the rights to Joyce's Ulysses and had to personally underwrite the venture. Two years later (in 1936) he was able to publish Joyce in hardback, but the proceeds only reduced the debt of the firm. He desperately needed something to succeed and make money. In October 1934 Allen Lane attended a conference of booksellers and publishers on the theme of 'The New Reading Public'. While all agreed that a New Reading Public existed, they could not agree how publishers and booksellers could provide for this market, despite examples of Woolworths and the existence of tuppenny libraries catering for this group. He put forward his ideas - these were met with derision. They felt he was a failure, his firm was on the rocks, and his ideas could not work. He came away annoyed and frustrated. So, what were these ideas? A little while before, as the story goes, after a weekend visit to Agatha Christie, he found himself at Exeter railway station, and searched the bookstall for something to read on the journey back to London. Finding only popular magazines, expensive new titles and 'shabby reprints of shoddy novels', his mind began to work. 1) He wanted to provide quality books to an eager public. Not old rubbish, but good literature from modern authors, novels, detective stories, and non-fiction such as biographies. But good books by modern authors cost a premium, royalties had to be paid. 2) The books themselves had to be a quality product - on decent paper, have a good feel to them, have good typographical design; he thought about shape, size and the cover. He had previously been in discussion with the publishers of 'The Albatross' series, published on the continent, discussing a joint venture. Albatross were making gains on Tauchnitz, an older series that was now looking tired, with squat format and older titles. Albatross were more up-to-date. 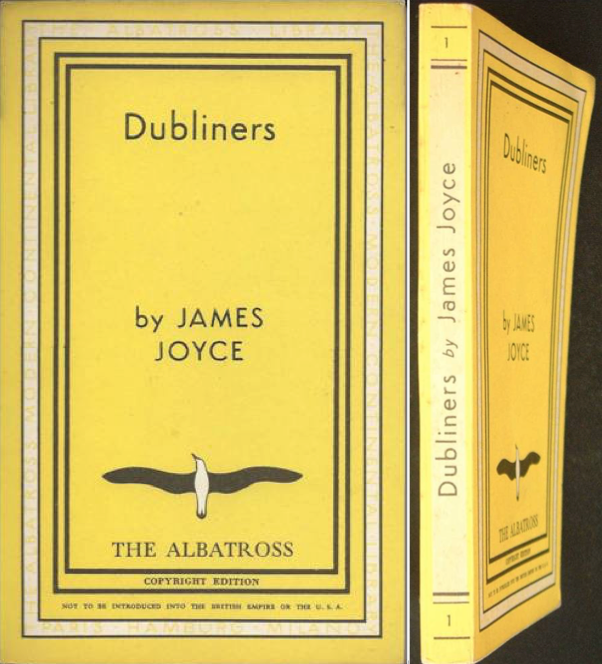 Their first title was Jame's Joyce's Dubliners published in 1932. 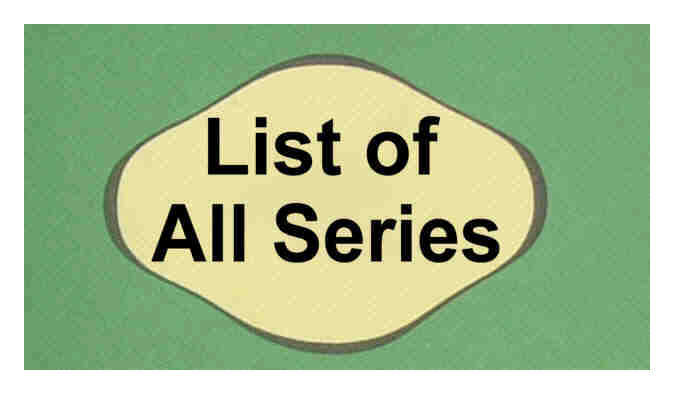 3) 'The Albatross' series had a recognizable visual appearance - it had different colours for different categories - such as red for adventure and crime, blue for love stories, green for travel and so on. 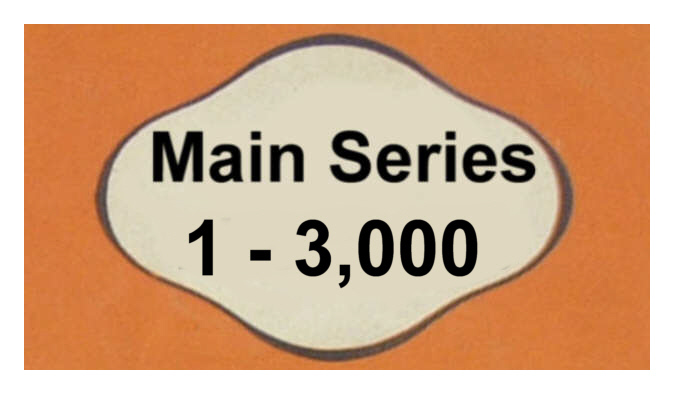 Like other series it was numbered, and had a distinctive logo - or colophon. Albatross published batches of four new titles a month. 4) Probably the biggest problem was cost. He understood from American examples and Albatross that only by rigorous cost reduction and economies of scale through large print runs, could a book being sold cheaply have any chance of making a profit. 5) In the US he saw it was mainly reprints that were sold in stores. Not bookshops, but drugs stores and department stores - reaching some 60% of the population, and gradually developing a new reading public. He knew that ordinary people were put off from going into traditional, stuffy and drab bookshops, which sold expensive books to the elite. 6) As his train wended its way through the west-country and he gazed out of the window, he pondered how all this could be achieved. Perhaps seeing his own reflection, he gave himself a smile as the pieces of the jig-saw seemed to come together - not understood by publishers then, with their small print runs, and individualized and expensive books - but with concepts easily understood today, of mass production and low cost. 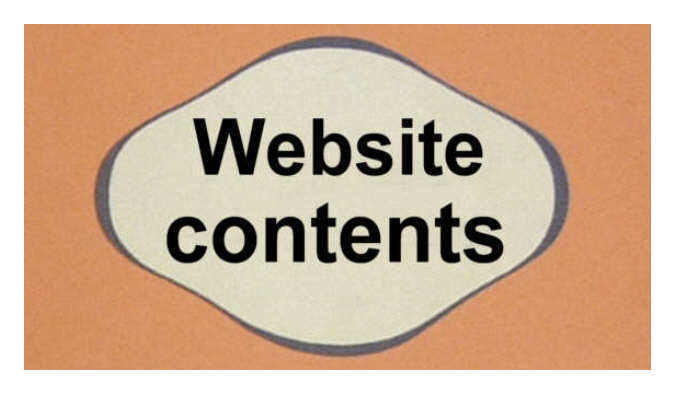 And above all else, a concept new for publishers, that of branding. 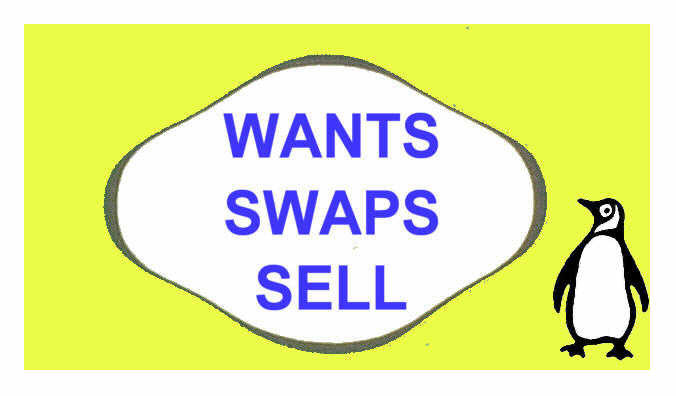 7) Rather than sell an individual title, he would sell a brand. He would publish new titles in batches and might need to sell 10,000 of each book to cover costs. He was certain that a series is more than its titles: it must have an easily recognizable cover design, be uniform, have a good trade mark that was easy to represent pictorially, and that it was easy to say and remember. 8) He also wanted to sell his books where people gathered, in large stores, and where they could make spur of the moment purchases. As he got off the train at Paddington, all that remained was for him to convince others. The next morning he discussed his ideas with his brothers at their morning communal bathing session. His brothers Richard and John also had inherited their aunt's legacy, come to London, and now worked for The Bodley Head. They had jointly bought a flat and had a good social life. Allen told them of his ideas which they challenged and discussed. Allen was keen to keep the price down to 6d, the cost of a packet of 10 cigarettes. He wanted to produce good quality literature which could be cheap enough for a larger public to be able to buy and could, perhaps, even be sold from a vending machine. To break even, they worked out that they would need to sell 17,000 copies of each book, 5 or 6 times more than the usual new hardback. They also agreed that a good name and trade-mark was essential. The three of them and other staff sat around a table in Vigo Street and brainstormed. They came up with all sorts of ideas, phoenix, and dolphins. Eventually, his secretary Joan Coles suddenly said "What about Penguins?" Allen liked it - he thought it had 'a certain dignified flippancy'. Edward Young, a junior editorial member with artistic skill was sent off to the Zoo to sketch a penguin. Young designed the cover, with its three bands, colour, the initial typography, quartic panel at the top and the Penguin at the bottom. The 7&frac18;" by 4&frac38;" size would fit a pocket, and was aesthetically satisfying, being close to the classical proportion 8 to 5. When Allen Lane approached other publishers for reprint rights to publish their books in paper-back, most turned him away. There was some doubt as to whether the project would be a commercial success. It was argued that those who wanted good quality books would pay more for hard-back books which they would keep. Those who wanted inexpensive books - seen as those wanting cheap fiction - would not be keen on purchasing established 'literature'. In any case, they felt that if his project succeeded they might be put out of business. Allen offered Jonathan Cape an advance of £25 for each title against a royalty of a farthing (¼d.) a copy. Cape agreed to sell him 10 titles at £40 up front, with royalties of &frac38;d. Cape later said that he only sold Allen the rights to take £400 in cash off him before his venture went bust. With the books from Cape and some from The Bodley Head's own list, Allen was able to put together 10 books for the first batch, and prepared for a second set. 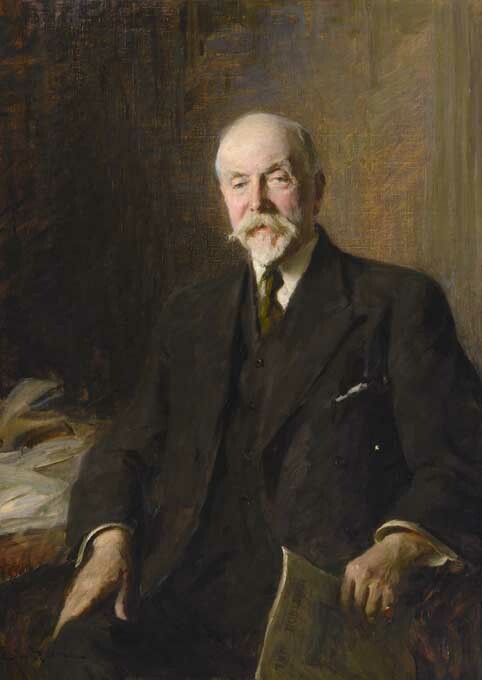 Allen Lane took his idea to the Board of The Bodley Head who were not convinced and refused to back the venture. Respectable publishers such as them viewed paperbacks as 'dirty rubbish' and would have nothing to do with it. They did, however, rather grudgingly agree to let Allen Lane pursue this rather dubious project in his own spare time and to use the offices and imprint of the firm, but that he would have to fund it himself. Allen's printer friend Raymond Hazell, produced a dummy set with specimen pages for the first ten books so that these could be taken round booksellers. Allen and his brothers went out to seek orders from the trade, but when they returned the total only came to about 7,000 of each. They were gloomy. Allen headed off to the haberdashery buyer of Woolworths. 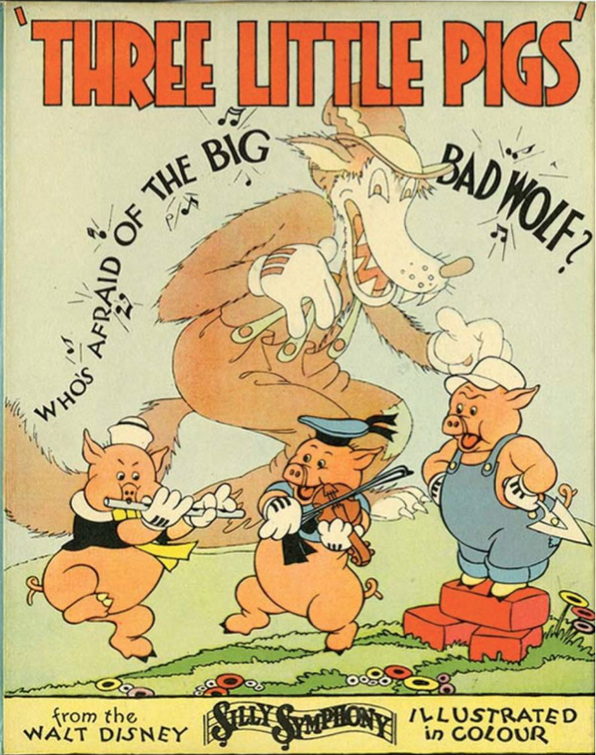 He had previously done business with Clifford Prescott, supplying a sixpenny edition of Walt Disney's Three Little Pigs. Although this book sold 130,000 copies, Prescott was unsure about contemporary fiction, bound in paper covers and without a pictorial jacket. Then, the story goes, Mrs Prescott arrived for lunch, and he showed his wife the books. She said she had read some of them and thought them an excellent selection. The deal was done but he only agreed to take ten sets for 12 branches. Publication was set for the 30th July 1935. It seemed that the prophets who foretold doom were going to be proved correct. Jonathan Cape had driven a hard bargain - an advance of £40 per title meant they had to sell over 25,000 copies of each title to break even on rights. They printed 20,000 of each book, but only half were bound. It was a huge gamble as they waited. Allen even ordered his books from a different printer who gave a slightly lower quote. 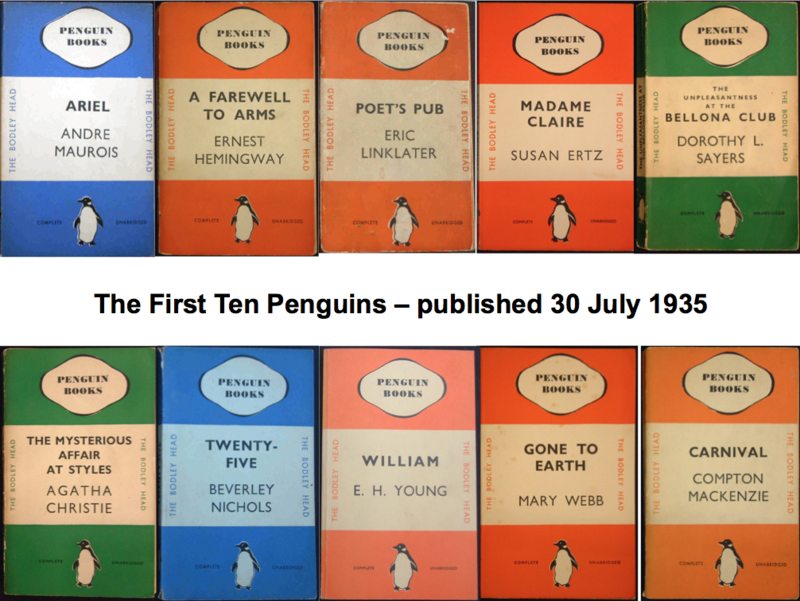 The first ten Penguin Books had been launched. These were books already published and known to be fairly popular - detective novels by Agatha Christie and Dorothy L. Sayers, an autobiography by Beverly Nichols. The two most prestigious books were Ernest Hemmingway's war novel A Farewell to Arms, and the biography of Shelley Ariel written by André Maurois. 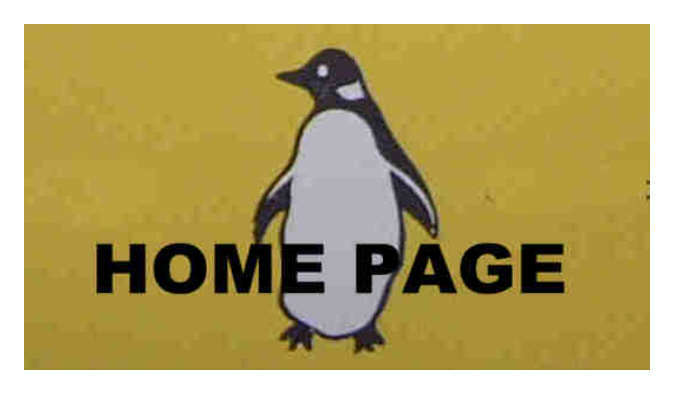 The first ten Penguins were an immediate success - through a range of outlets - sold by bookstalls, bookshops and also department and chain stores. 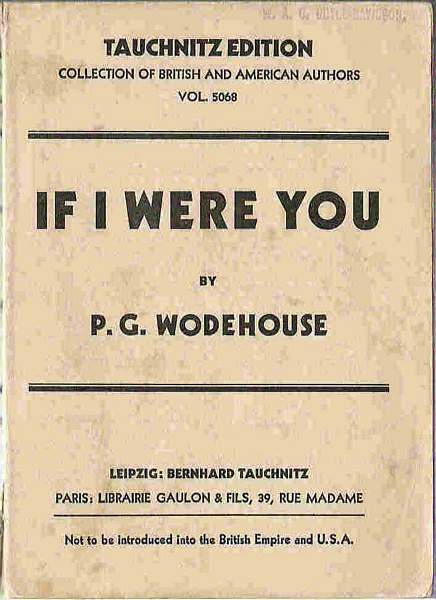 Within a week of the launch Woolworth's alone asked for a further 63,000 copies. 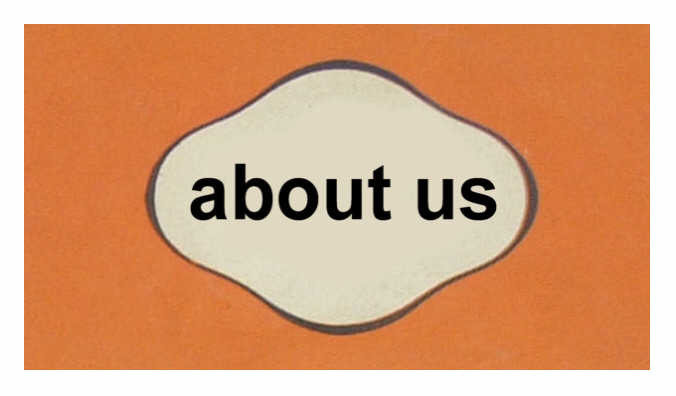 The venture had become a success and 'Penguin Books' were here to stay. Most of the titles sold out fairly quickly and had to be re-printed and Allen Lane went ahead with more titiles. 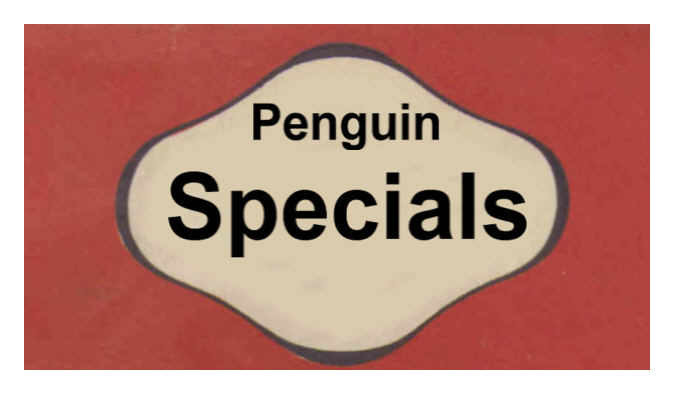 By the end of 1935, Penguin had published two batches of ten books and sold a million copies. By July 1936 they had published 50 titles, and sales reached 3 million, a turnover of £75,000. Each title averaging 60,000 copies. The venture seemed to be paying off, but margins were tight. For each book sold at 6d., 2d. went to the retailer. Production costs were 2.44d. 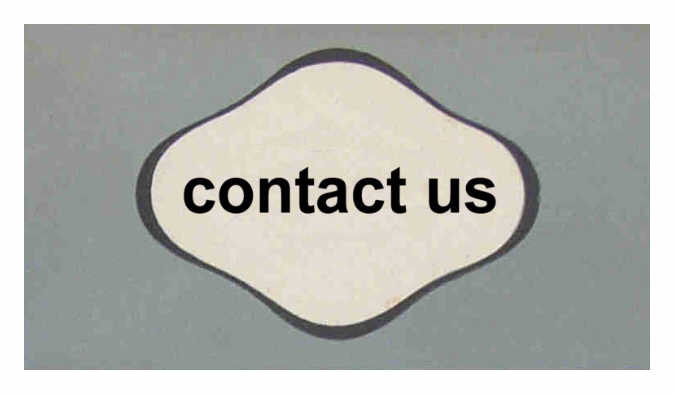 This paid for printing, dustcover, cover, binding and paper. 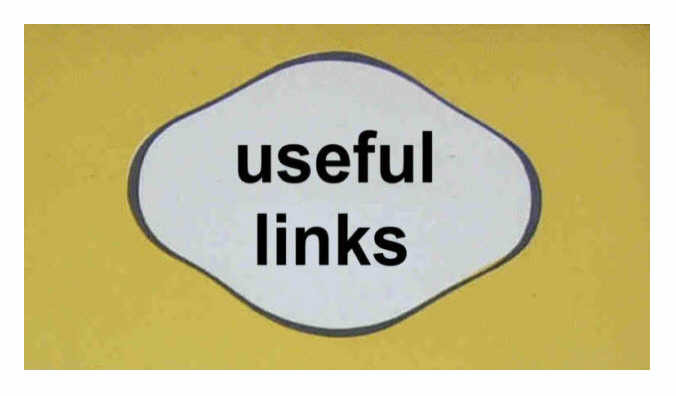 Publisher and author received 0.36d. The total costs amounted to 4.8d. Only 1.2d or 20% remained. 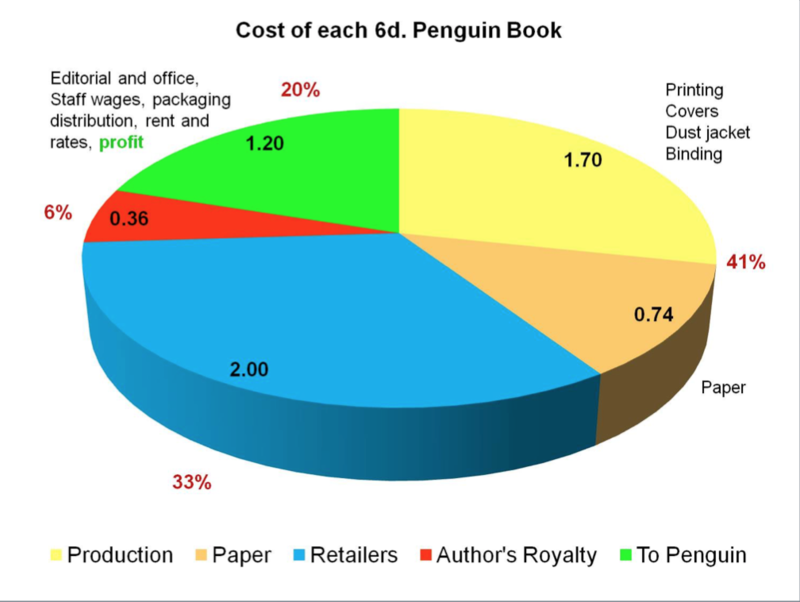 Editorial costs, wages, rent, packaging and carriage had to be paid for - there was only a small margin left as profit. Allen Lane only took his wages and year after year all the profit was ploughed back into the company However, the success of Penguin came too late to save his former publishing house The Bodley Head which subsequently went into liquidation, and this despite the income from finally publishing Ulysses which was a success. 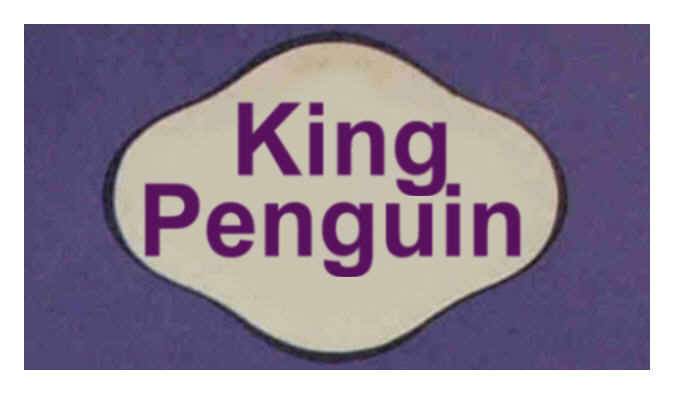 To protect his new Penguin project, Allen Lane quickly raised £100 capital to form a separate limited company 'Penguin Books Ltd.' as a private firm and he and his two brothers (Richard and John) as directors, and on 15 January 1936 Penguin Books was created. 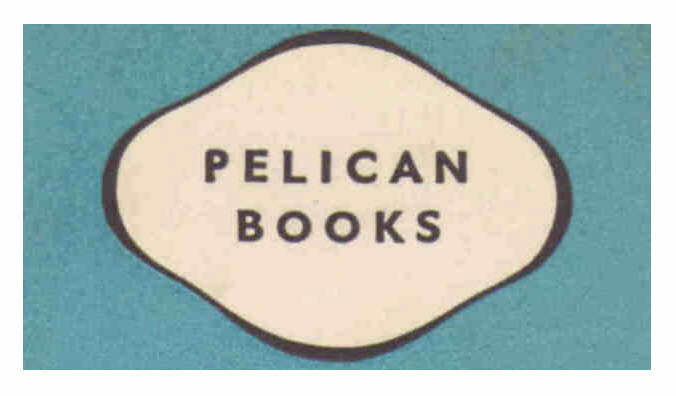 He resigned as a director of The Bodley Head a few months later and The Bodley Head imprint ceased to be used on Penguin books after January 1937. 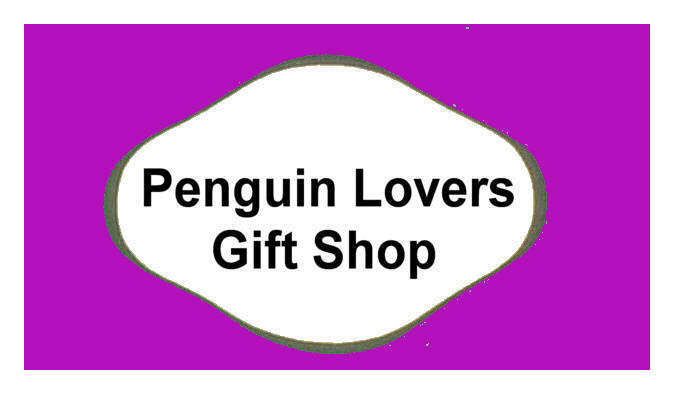 By June 1937 Penguin had published its hundredth book - infact two volumes of its Travel and Adventure series nos. 99 and 100 The Worst Journey in the World.